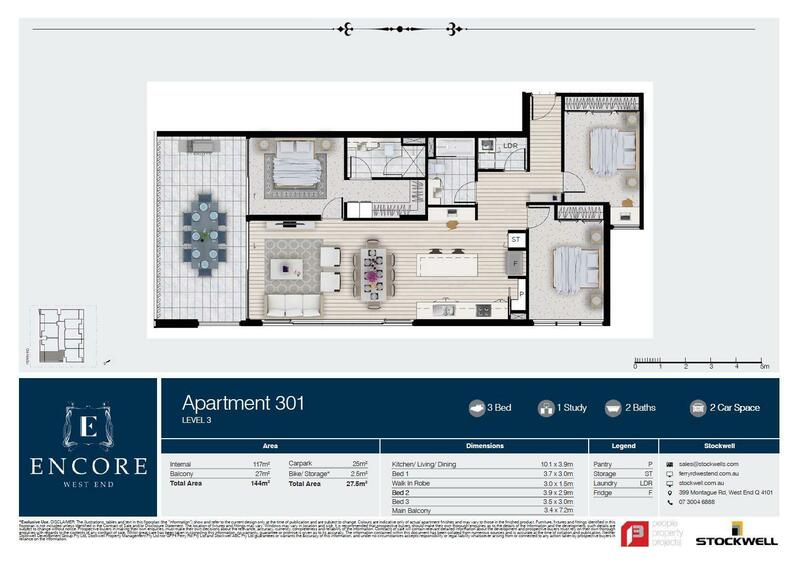 Residence 301 has been carefully designed to utilise space and ensure that comfort is never compromised - the perfect apartment for downsizers, or executives looking for space and convenience without high maintenance. Flowing living spaces are complemented by a superb galley style kitchen fitted with integrated Smeg appliances and expansive natural stone bench tops plus a large pantry. The master bedroom features a large walk in robe, luxurious ensuite, natural lighting and direct access to the spacious balcony. The 27m2 entertainer’s balcony has been designed to flow seamlessly with the dining and living areas which are highlighted by 2.7m high ceilings. Encore is superbly positioned to give every benefit of life in this dynamic city. Residents will enjoy access to the CBD and South Bank’s cultural precinct within a matter of minutes. West End’s cultural hub is a casual stroll from Ferry Road where you can be amongst the action, feasting on flavours of the world or enjoying live music in one of the many eclectic bars. Stockwell are offering buyers of Ferry Rd. the opportunity for you to personalise your home to meet your specific needs.